*The Full Tuition amount does NOT include the registration, resource, and capital fees. **The 12 month plan includes the registration, resource, and capital fees in the monthly rate. LATE FEES: A late fee of $30.00 is assessed each month if resource fees, capital fees, tuition installments, and/or aftercare payments are not paid by the due date. A returned check or draft results in a $30.00 returned check charge. NO BILLING STATEMENTS: NRCA does not send statements or invoices. Registration: 1st Installment paid January 1 of previous school year as registration for next year. Advantage: The 12-month plan combines the yearly tuition with registration, resource, and capital fees and divides the total by 12, for 12 equal installments. The 1st and 2nd installments are made in January and March of the previous year and go towards payment of the registration, resource, and capital fees. Students who withdraw after these months are responsible for payment of any fee amount not covered by the first two installments. FACTS Management: All monthly tuition payments are made, via electronic funds transfer, to FACTS Tuition Management. The annual fee for this service is $45.00 PER FAMILY. All monthly Aftercare payments are made via electronic funds transfer to NRCA on the 5th of each month. After school care begins upon dismissal of school and ends at 6:00 p.m. Only full-time aftercare is available; no drop-ins. Students are considered enrolled for the entire school year. If a child leaves the Aftercare program during the school year, they may not return to the program for the remainder of that school year. The full month’s payment is due for any month in which the student attends one day. The Aftercare program is not available on half-days, teachers’ workdays, school holidays, or summer vacation. For the 2019-20 school year, please return Aftercare forms to the Business Office NO LATER THAN August 16, 2019. For more information please contact the Business Office at (919) 573-7900 x7935. APPLICATION PROCESSING FEE: $100 PER STUDENT FOR NEW STUDENTS ONLY (Non-refundable) The Application Processing Fee is required at the time of application to NRCA. This fee covers some of the costs associated with the application process and any testing that is required. REGISTRATION FEE: $552.00 PER STUDENT FOR K5-12TH GRADE (Non-refundable) The Registration Fee is non-refundable unless a student is placed in the wait pool and the parent requests a refund prior to an opening in a class. LATE RETURNING STUDENT FEE: $100.00 PER STUDENT FOR 1ST-12TH GRADE (Non-refundable) Any reenrollments received after January 25, 2019 will be considered a late reenrollment and are subject to an additional $100 per student Late Returning Student Fee. STUDENT RESOURCE FEE: $492.00 PER STUDENT FOR K5-12TH GRADE (Non-refundable) The Resource Fee covers most books, student insurance, student association dues, designated student supplies, and classroom teaching supplements. The book portion of this fee is a prorated fee based on some books being consumable and some lasting more than one year. Academic books, tests, and supplies range from $400.00 to $700.00 per student based on grade level. If a student withdraws, the Resource Fee is not refunded and any books or supplies are forfeited. CAPITAL FEE: $432.00 PER STUDENT for K5-12th Grade (Non-refundable) The Capital Fee covers the acquisition, upgrade and improvement of our facilities. This fee helps cover expenses like painting, replacement of carpet, repairs to classrooms, restrooms, maintenance of playgrounds, landscaping, impact charges, etc. NEW FAMILY FEE: $500.00 PER FAMILY 2nd – 12th Grades (Non-refundable) The New Family Fee is a one time fee payable within 5 days of acceptance to NRCA. This fee is used for the continued development and advancement of NRCA’s academic programs. Failure to pay this fee within 5 days will result in forfeiture of acceptance to the school. TUITION ASSISTANCE: Tuition Assistance Awards are based on the family’s demonstrated need as determined by FACTS Management Company (‘FACTS’). FACTS is a third-party agency that makes financial needs assessments for schools. FACTS uses information supplied by the applicant to assess financial need. 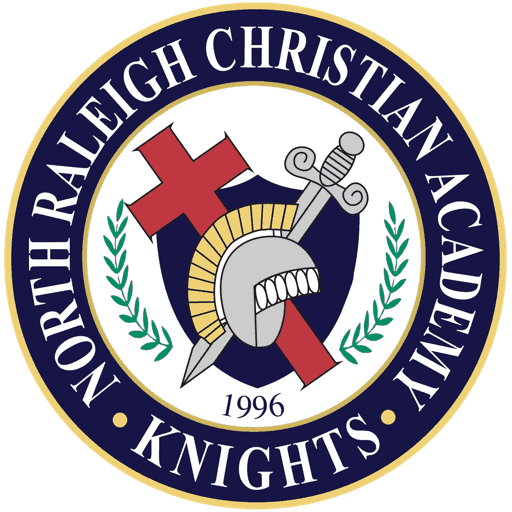 Applications are made online at nrcaknights.com under the Admissions link. Each award is made in the form of a discount on tuition and is for one year only, based on availability of Tuition Assistance funds and is awarded to returning families first. The deadline for initial awards is March 31, 2019. Applications submitted after that date will be reviewed and awards will be based on the amount of assistance remaining. New students must be accepted by NRCA prior to Tuition Assistance being requested or awarded. WITHDRAWAL FEE: $500.00 PER STUDENT – Students are considered enrolled for the entire school year; therefore, budgets and teacher contracts are set accordingly. The early withdrawal of a student creates an opening which NRCA may not be able to fill with a viable candidate. For students enrolled for the 2019-20 school year, the following applies: Students withdrawing after January 31, 2019 owe the Registration fee; students withdrawing after March 31, 2019 owe the Registration, Resource, and Capital fees; students withdrawing after May 31, 2019 owe the Registration, Resource, Capital and $500 Early Withdrawal fees. NRCA must be notified prior to June 1, 2019 (even if your June payment is not due until after that date) to avoid the $500 early withdrawal fee. Students who withdraw after school begins in August owe all the above fees plus the full month’s tuition for any month in which the student attends at least one school day. Official transcripts, report cards, and records cannot be released or sent to other schools if an outstanding balance remains at NRCA. ANNUAL FUND: The Annual Fund provides resources for our school, outside of the normal operating budget, that directly impacts our mission of Christian education excellence. NRCA is a 501(c)(3), non-profit, and your contributions help make NRCA an institution of excellence in academics, fine arts, and athletics. Please pledge to make your tax-deductible gift to the Annual Fund by December 31, 2019.